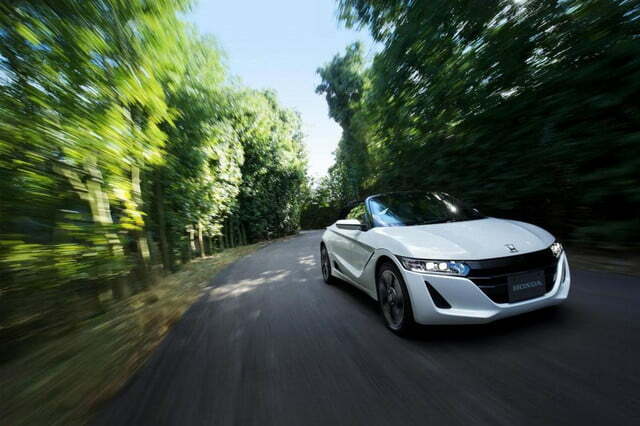 Honda is in the midst of the biggest sports car offensive it has ever launched in its history. 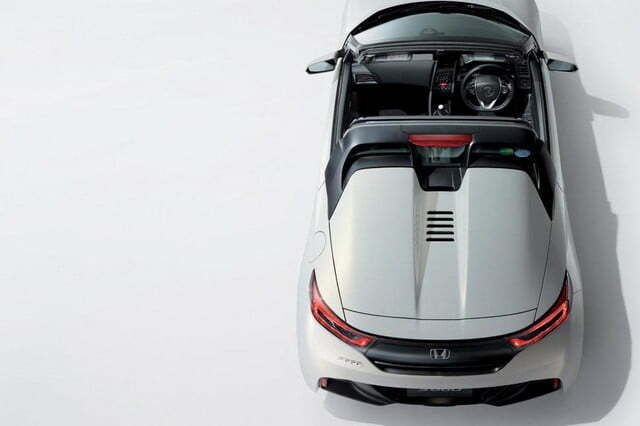 The company’s Acura division unveiled the long-awaited (and long-overdue) second-gen NSX earlier this year in Detroit, and industry rumors claim it is designing a smaller and more affordable mid-engined model to compete against the Porsche Boxster and the Alfa Romeo 4C. 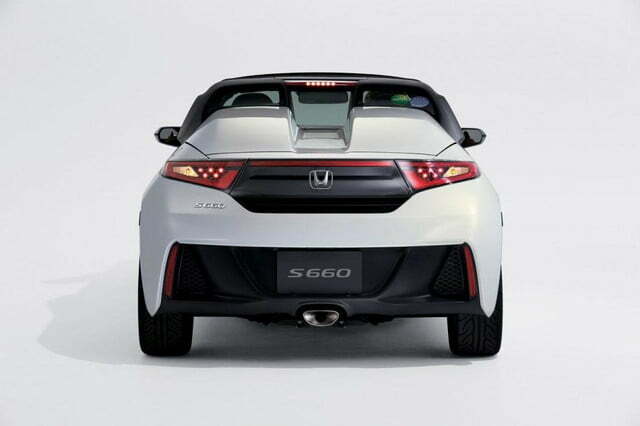 Surprisingly, John Mendel, the executive vice president of Honda’s American division has hinted that the tiny S660 (pictured) could add a third prong to the offensive. “We’re looking at it intently for North America. We want some spice in the lineup,” revealed the executive in an interview with Edmunds. If it’s given the green light for production, the U.S.-spec version of the convertible won’t be identical to the one that’s sold in Japan. 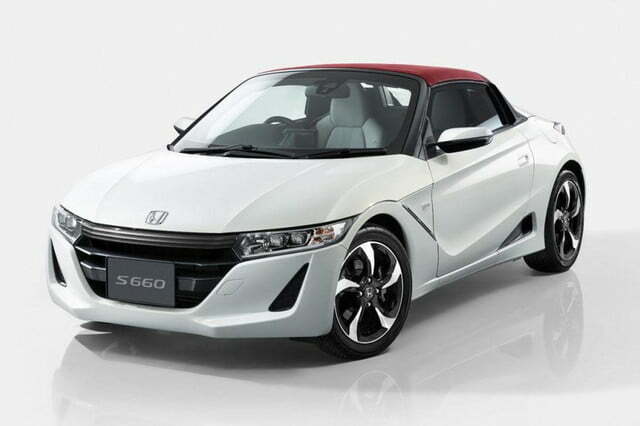 For starters, the S660 is considered a “kei” car in its home country, meaning that owners benefit from sizable tax breaks. 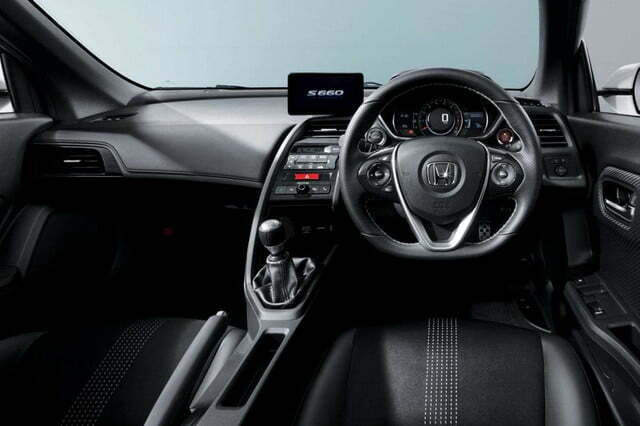 As a trade-off, it’s powered by a tiny turbocharged 660cc three-cylinder engine whose output is legally limited to 63 horsepower at 6,000 rpm and 77 lb-ft. of torque at 2,600 rpm. While that’s plenty in a car that weighs just 1,800 pounds, the U.S.-spec model will allegedly be fitted with a bigger 1.0-liter four-cylinder mill tweaked by in-house tuner Mugen to deliver 138 horsepower. 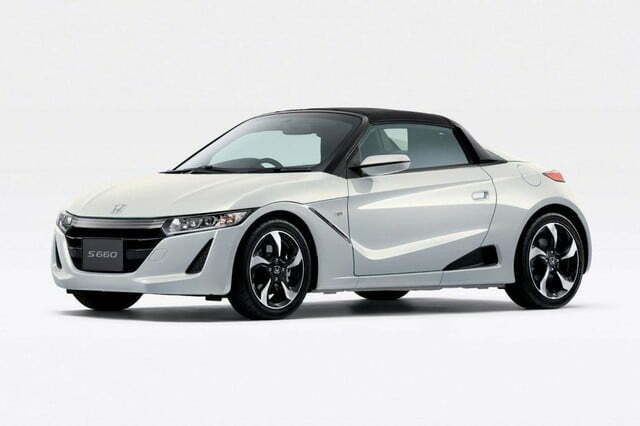 Honda will also likely need to make a handful of visual tweaks to the mid-engined roadster in order to get it to comply with the EPA’s safety regulations. 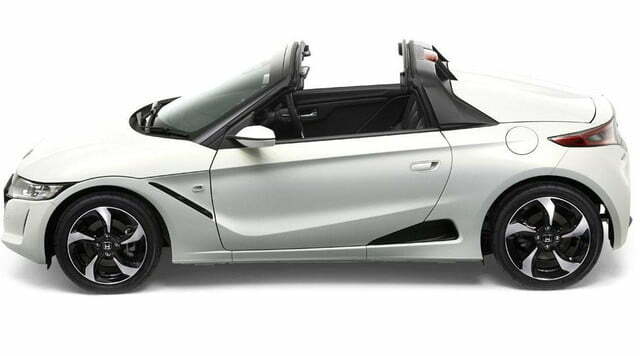 Honda warns that the roadster — which is tentatively called S1000 — has several obstacles to clear before it is approved for production. “It’s got to be commercially viable. It’s got to serve a purpose from a brand standpoint,” explained Mendel. When Honda will decide whether or not to move forward with the S1000 project is not known. If approved, it could be introduced at a major auto show early next year and go on sale in time for the 2017 model year.